Soane office hand. There is no record in the Soane office Day Book (for 19 February 1807) of any one working on Stowe (or grates and fenders). 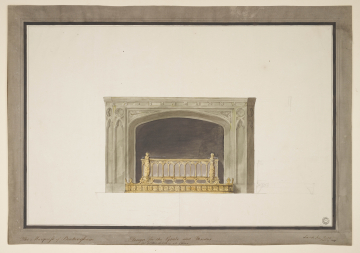 Usefully shows the executed design for the chimneypiece.